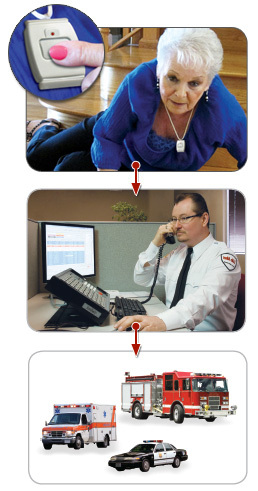 Life Alert is the leading emergency response company in the country, dedicated to solving home safety issues. Whether it’s accidental, medical, fire, or a home invasion emergency, Life Alert sends help, 24/7, even when you can’t reach a phone. When you need help, just press the button on Life Alert’s Waterproof Pendant on your neck or on your wrist. The Main Unit in your home signals the Life Alert Monitoring Center. Our dispatcher calls you through the Main Unit, and whether you can respond or not, sends the help you need fast, 24/7.